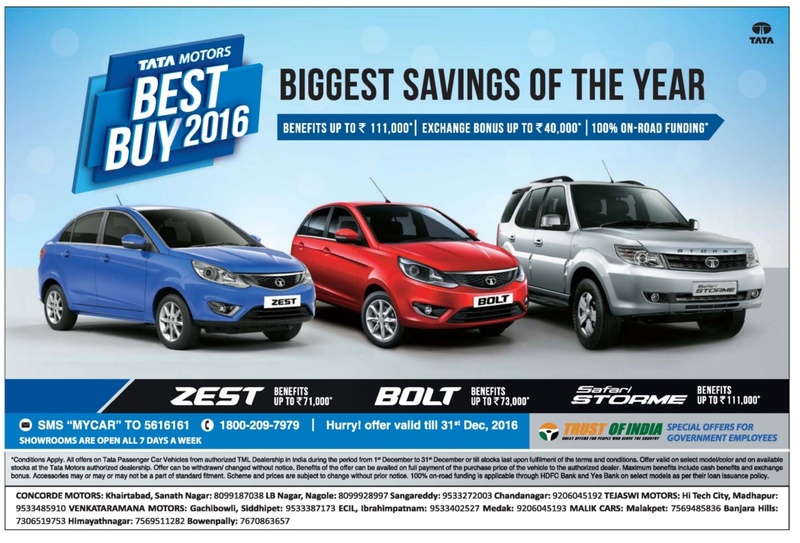 Tata Motors Best buy 2016. Biggest savings of the year. Benefits up to Rs 11,000* | Exchange Bonus up to Rs 40,000* | 100% on road funding*. Call customer care phone contact toll free number: 1800 209 7979. Hurry, Offer valid till 31st Dec 2016. Show rooms are open all 7 days a week.